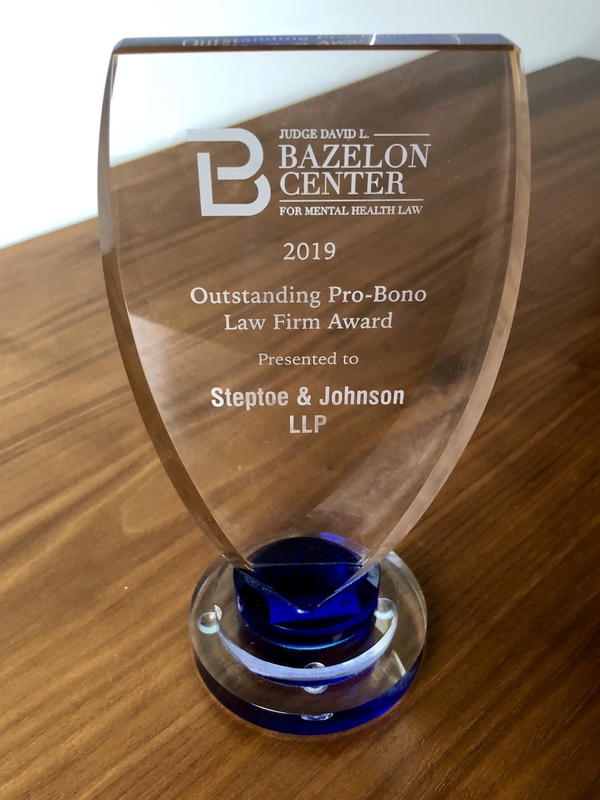 (April 8, 2019, Washington, DC) — Steptoe has received the 2019 "Outstanding Pro Bono Law Firm" award from the Judge David L. Bazelon Center for Mental Health Law. The firm was honored on April 4 during Bazelon Center's annual awards reception at the National Press Club in Washington. 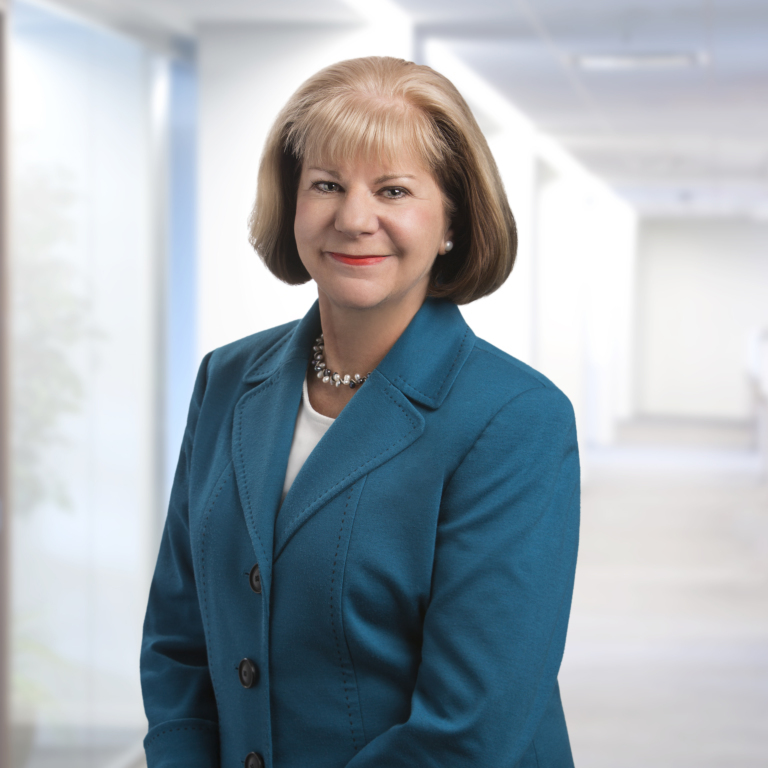 Steptoe partner Jane Ryan accepted the award on the firm’s behalf. The Bazelon Center is a national legal advocacy organization advancing the rights of people with mental disabilities. In 2018, Steptoe announced its partnership with Bazelon to counsel and support students facing discrimination on their college and university campuses due to their mental health disabilities. Ryan is leading the partnership, which has achieved a number of successes in its first year.